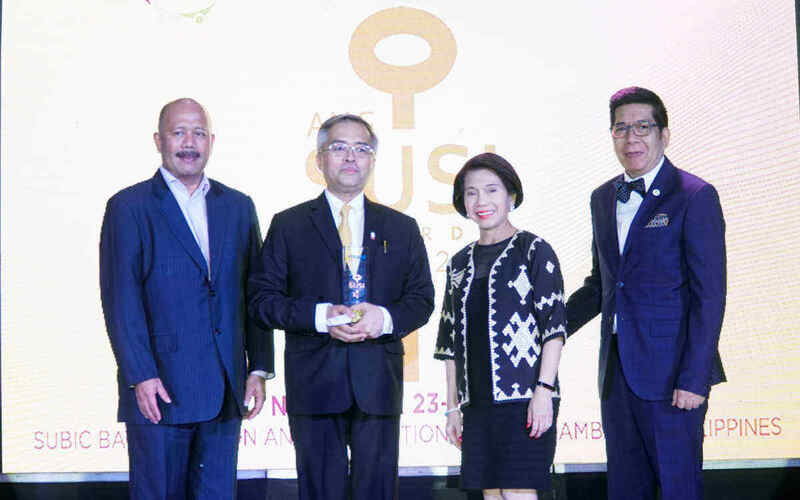 The Philippine Retailers Association has successfully capped off 2018 with a double victory at the “ANG SUSI Awards” of the Philippine Council of Associations and Association Executives, which coincided with the 6th Association Summit on November 23, 2018. PRA Chairman Atty. Paul A. Santos was named the “Board Member of the Year” for his outstanding service as PRA president from 2016-2018, where he practiced good governance and contributed to the goals and objectives of the PRA. During his presidency, Chairman Santos has actively represented the retail sector in various government hearings and meetings to voice out the position and stand of the sector in proposed laws and issues affecting the industry. At the same time, PRA has also opened up to more international affiliations and networks, and started the international retail study/business missions which were conducted in Japan and Myanmar. “There are a lot of challenges along the way, but because we choose to work together as an industry, we are able to overcome challenges and thrive as an organization and continue to grow through our members and partners and friends beyond the retail industry,” Chairman Santos said. The National Retail Conference and Stores Asia Expo (NRCE), PRA’s flagship project also bagged the Industry Development Award. The NRCE, which is on its 25th run this year, aims to help local retailers become globally-competitive by providing well-curated talks and presentations on the latest trends and insights in the industry. The NRCE is also a venue for networking and collaborations among retailers themselves and with retail suppliers through the exhibit that happens simultaneously with the conference. In this way, the NRCE does not only serve retail businesses, but other businesses outside retail as well. This is the third year that the PRA has bagged major awards at the ANG SUSI Awards. Previously, PRA Secretary General Evelyn Balmeo-Salire won the first Association Executive of the Year award, PRA Vice chairmen Alegria “Bing” Limjoco and Lorenzo Formoso were named Board Member of the Year in 2016 and 2017 respectively. The Regional Roadshows won the Industry Development Award in 2016, while the NRCE Chatbot won the Technology Innovation Award in 2017. During the summit, Chairman Santos also served as a panelist and shared inspiring stories and case studies along with other panelists from various trade organizations and associations in the country. ANG SUSI Awards or “Associations nurture National Growth through Social Unity and Sustainability Innovations” is the first and only search for the best associations and association executives in the Philippines which recognizes the association sector’s contributions to national sustainable development.